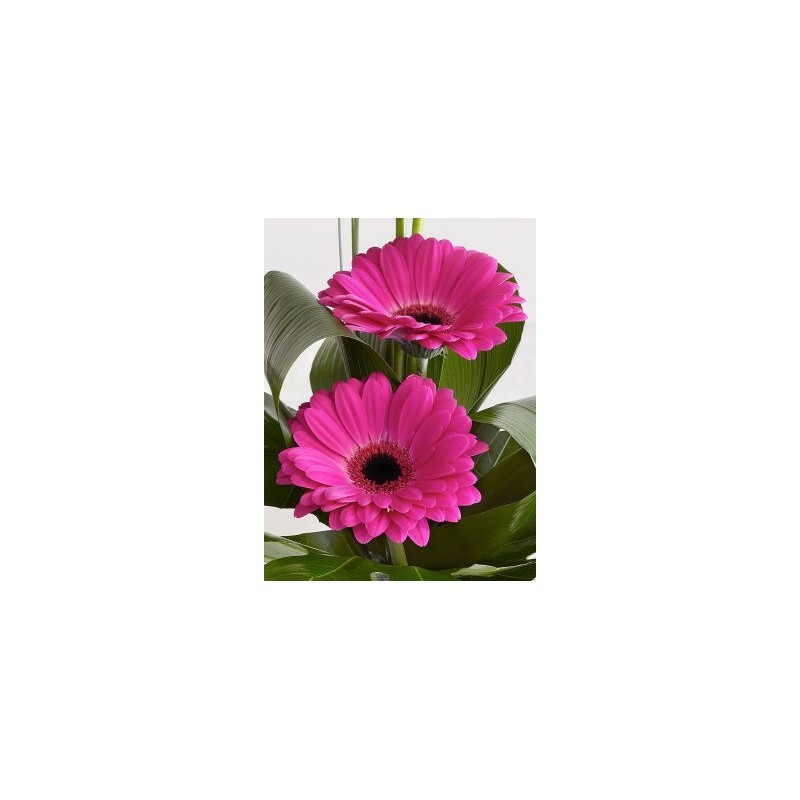 The hot pink shade of these gerbera is simply dazzling. 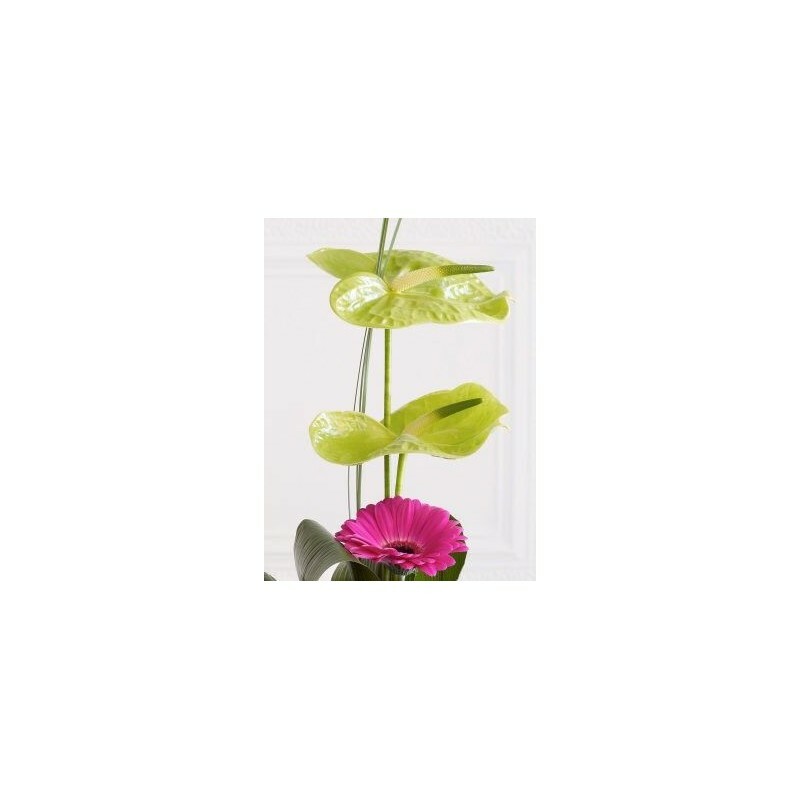 For this beautiful statement piece, distinctive green anthurium and sleek steel grasses give height, while careful arrangement creates a sense of space and style. 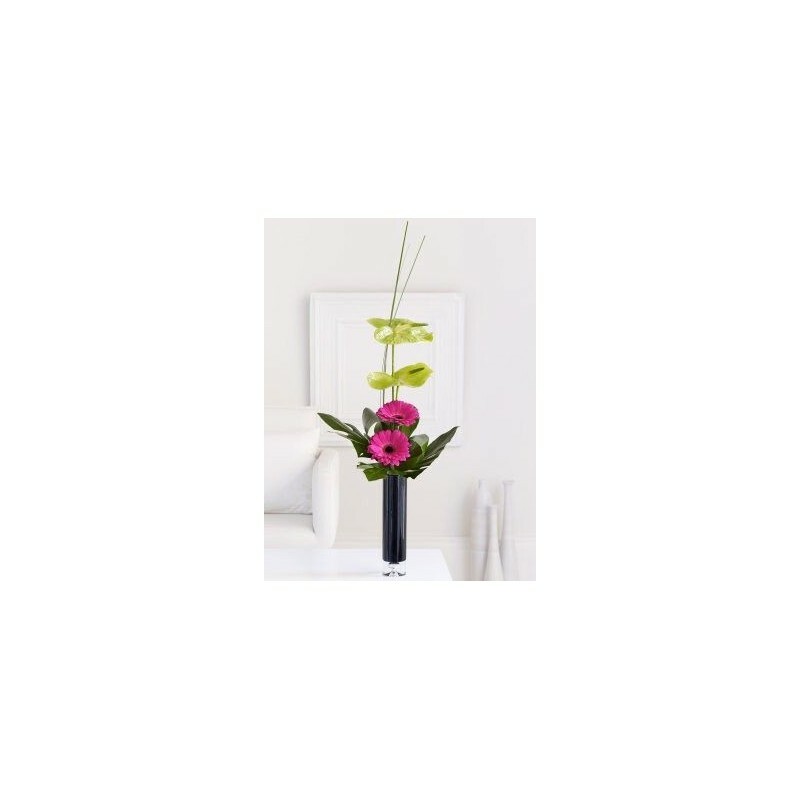 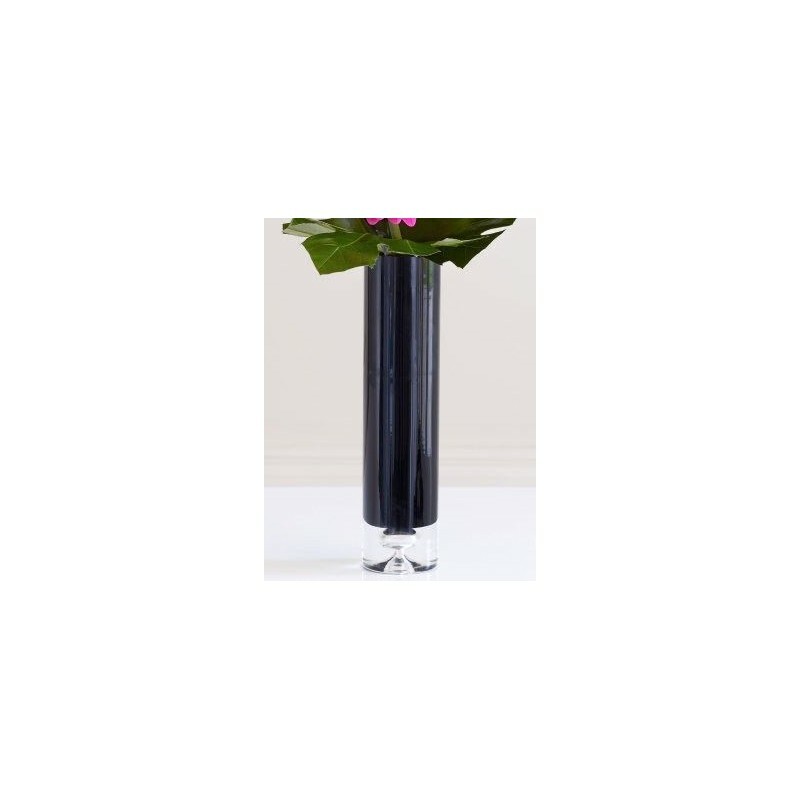 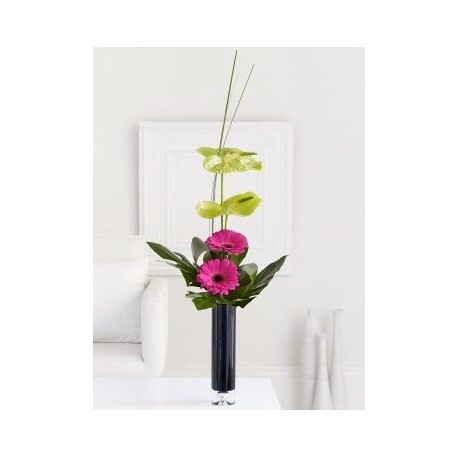 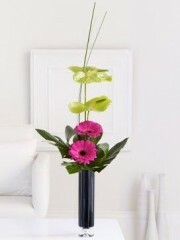 Featuring 3 aspidistra leaves, 2 cerise gerbera and 2 green anthurium with aralia leaves and steel grass, presented in a tall, slim black vase.